I ordered this beautiful bracelet on friday and received it on saturday! I'm a big hare fan and this bracelet is brilliant. 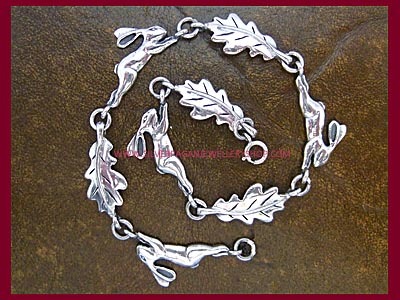 Each of the hares and oak leaves are wonderfully detailed and looks even better than the picture (if that's possible!). Be back for more hares soon!